We know it’s a few months away from the winter yet but if you have ever been stranded in the midst of winter you’ll know all too well, the importance of being prepared. Driving in cold, winter weather presents some of the most challenging driving conditions and breakdowns more than double in the winter months so we’re here to help you get your car prepared in plenty of time as well as sharing the best products to help you through the winter months. Of course you should be maintaining your car properly throughout the year (psst read our tips on maintaining car health) however when it comes to the winter months, there are a few extra areas you should pay close attention to. The last thing you want to hear on a dreary winter morning is mechanical groaning of a dying car battery so it’s very important to ensure your car battery is in good health before the winter strikes – cold and damp weather will cause havoc with a battery which isn’t up to scratch. If you have the correct equipment, you can check your own car battery however if you’re not familiar with cars, it’s best to leave this to the experts. If you’re not familiar, antifreeze does what it says on the tin – prevents the water in your car ‘s cooling system from freezing over on those cold winter days and to make sure your antifreeze is doing the job, it is worthwhile snapping up an antifreeze tester. These cost as little as £2 from your local Halfords. When it comes to the winter months, we can be pretty certain to expect wet weather meaning we will use our window wipers a whole lot more often. Combine this with snow, salt on the road and using de-icer on our windscreens and we will need to clean our windscreens a whole lot more than in the summer months. So, in advance of winter, open the windscreen wash bottle and fill it up to the level indicated with screenwash. There are a number of options such as using your original screenwash without diluting it however your best option is to go for screenwash specifically formulated for winter. For example, Bluecol screenwash (which you can pick up from your local Halfords or Amazon), freezes at a lower temperature than water and has the added benefit that it can thaw any ice on your windscreen on the colder mornings. So, with screenwash formulated for winter, you can rest safe in the knowledge your washer jets won’t freeze over. Although it isn’t law in the UK, it is actually a legal requirement for drivers to own two sets of tyres (summer and winter), in some countries in mainland Europe. However if you are a frequent driver, travelling any great distance, you should consider buying a set of winter tyres as they offer exceptional grip when temperatures drop. 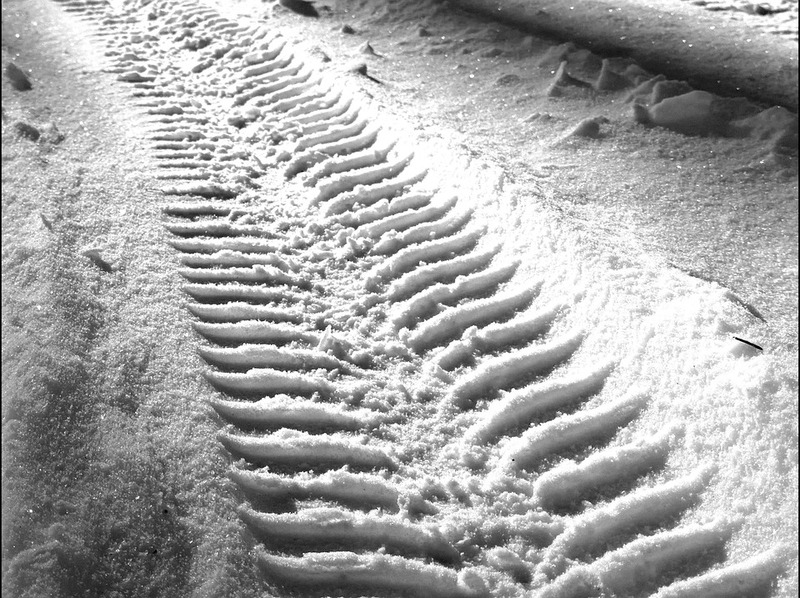 Bare in mind, winter tyres can be quite expensive depending on the model of your car however the legal tread depth for tyres is 1.6mm – having tyres with a greater tread depth can improve steering and braking. We also recommend checking your tyre pressure more regularly in winter months, especially if you drive a considerable amount of miles every day. You might have done your winter checks and have your car winter ready however this won’t see you through the whole winter – you will need to pick up a few products to help you day to day. If you have two sets of car keys, you might be lucky enough to start your car and leave the windscreen to clear while you pop back into the house. However, if you don’t have that luxury of having two sets, you will need to keep an ice scraper in your car – a saviour on those cold winter days. Our pals over at Honest John have recommended the Iceplane ice scraper which scrapes in two directions at once – we know what is first on our winter list. If you definitely don’t have time for scraping your windscreen in the morning then a magnetic screen cover should be your first windscreen purchase. Strong magnets keep the screen cover in place the full way around the windscreen preventing any frost getting in. Additionally, they are relatively small in size when folded so can be stored in the boot of your car. Additionally, it won’t freeze over so can be removed easily and you will be ready to drive off. USB phone charger: if you are stranded, the first thing you will need is a charged mobile to call for help. We have all been caught short with little to no battery so don’t let it happen to you. Food and Water: storing a large bottle of water in the boot of your car can be a saviour in many ways however if you are left out in the cold for any great length of time, you will be very grateful for water and non-perishable food / snacks. Hand warmers: if you are stopped on the hard shoulder of a motorway, the worst thing to do is to stay in the car. So, hand warmers will go down a treat. Activated by air, many of them can provide up to 10 hours of heat and they are very cost effective – 6 pairs for as little as £2 from Amazon. Blankets: you may have heating in your car however you won’t want to leave this running for a great deal of time in the event of your battery dying – blankets are essential if you are stranded for any length of time. Torch: it’s better to have an emergency torch and not need it, than it is to not have one and need it. You will be best to have a battery operated torch (with fully charged batteries) instead of a USB operated torch in case your car battery dies or if you need the torch to walk. Hopefully this winter checklist has provided the basics for getting your car winter ready! Let us know if you have any other relevant checks you do to get your car prepared for winter or if you have anything else you would add into the emergency kit.